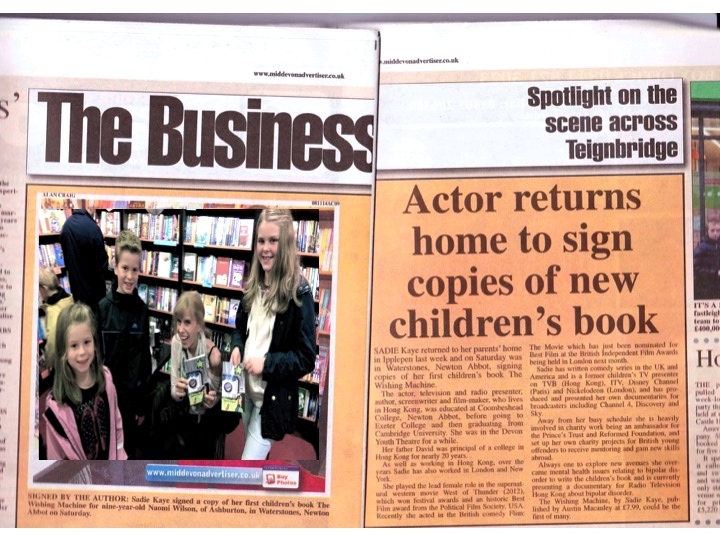 Sadie appeared in the Mid Devon Advertiser while promoting her children’s book The Wishing Machine, which is set in the fictional Devon village of Tippleden. 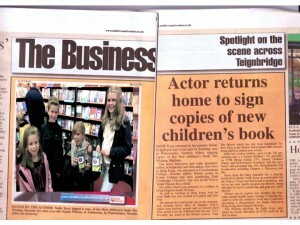 Sadie was attending a fun book signing @ Waterstones, Newton Abbott. Thanks to all who turned out!